Is your aspiration being a chemist? 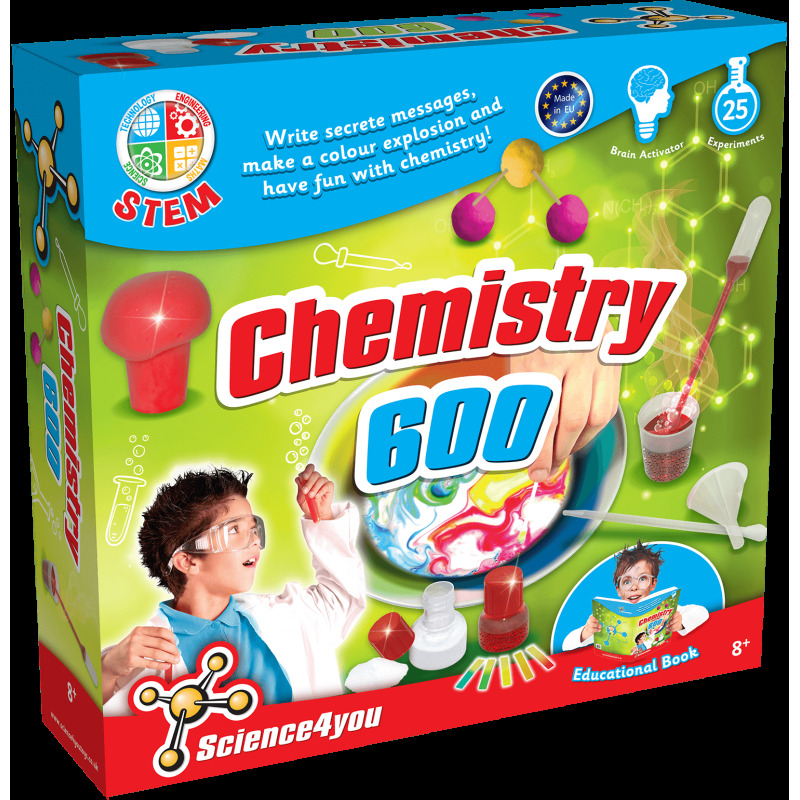 Take your first steps with the Chemistry 600 Kit and discover how to create a foamy column and make fantastic stalactites with chemical reactions. You also will enjoy making a colourful explosion and much more with this fantastic toy while learning a lot about chemistry! 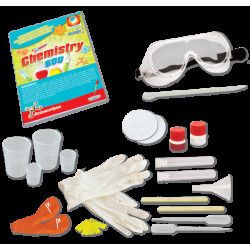 Become a real scientist wit the Chemistry 600 Kit for Kids! What density and surface tension are. What pH, acid and bases are. How to write a secret message and how to erupt your own volcano using chemical reactions. 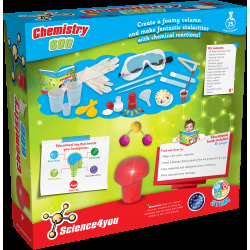 This toy includes up to 25 experiments for kids as well as an educational book with 36 pages.